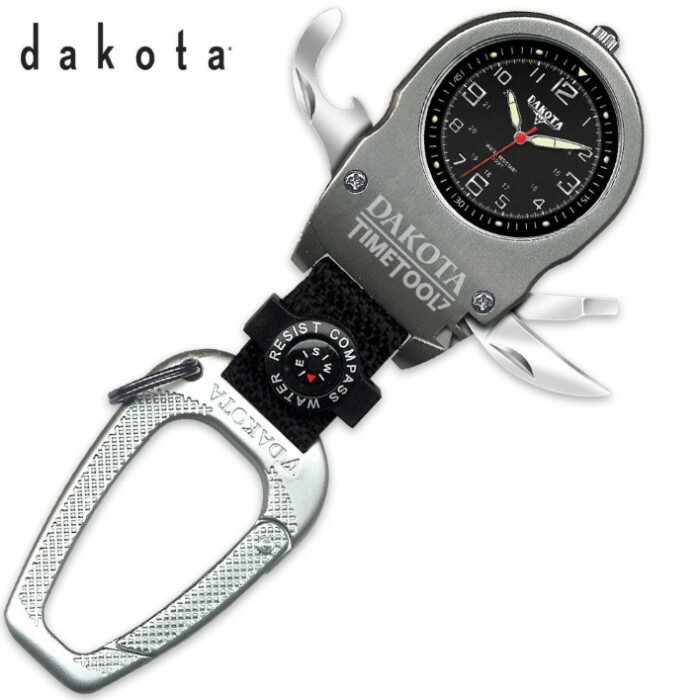 The Time Tool 7-in-1 multi-tool clip watch offers a bottle opener, knife, screwdriver, compass, tweezers, and toothpick. Also features luminescent hands and hour markers. Japanese quartz movement.